Hate putting lights on your street-use carbon track bike? Tired of people stealing your Knogs while your bike is locked up outside a bar? Afraid of cars hitting you at night? 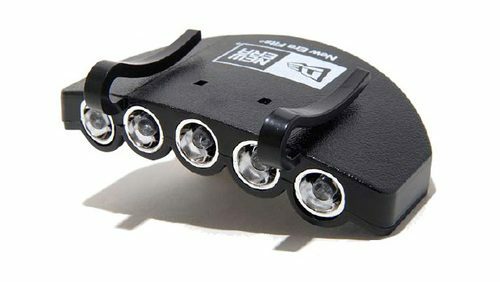 New Era is making an LED Cap light. The Asia-only release says it’s a book light, but I’d imagine people would use these while cycling at night too. It’d fit on any hat, standard bill or short-bill length (umpire caps).